Republicans have been meeting behind closed doors to negotiate the repeal of the Affordable Care Act, replacing it with an even more draconian version of TrumpCare, one that satisfies the members of the right wing Freedom Caucus. The “final” MacArthur Amendment was released yesterday (April 27) and, as feared, many of the essential provisions of the Affordable Care Act have been stripped away. This is not acceptable legislation. This is not our legislators upholding their oath of office to serve the interests of their constituents and their country. This is not even the Republicans upholding their own pledge to provide a replacement as good or better than the ACA. It's about giving enormous tax cuts to the wealthiest by increasing the suffering of the poor and middle class. While this morning it appeared that the Speaker of the House is backing off because of a lack of votes for the amendment, there is serious arm-twisting going on in the House now that will probably continue into next week. Please call your MoC and express your opinion about this revised AHCA bill. After calling your MoC, don't stop there. Reach out to your friends who are represented by one of the Undecided US Congressional Reps listed in this Hill article. Encourage them to speak up. 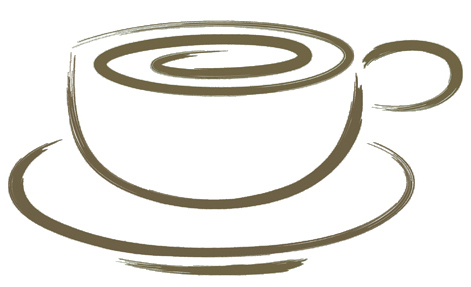 Offer to help connect them with a local Indivisible Group that is fighting for a fair healthcare law for America. Contact us at info@minutemanindivisible.org if you need help matching one of your out-of-state friends with their Congressional district or local Indivisible Group. 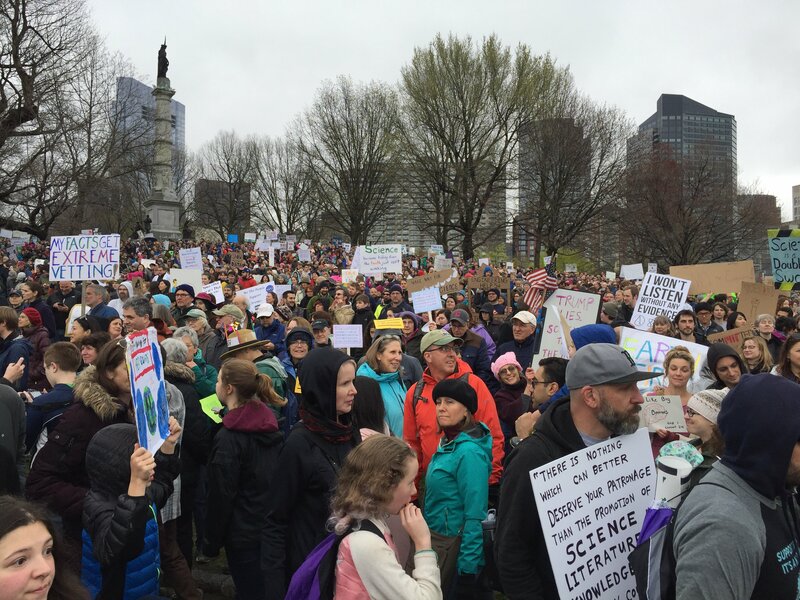 Members of Minuteman Indivisible joined thousands of others in Boston Common for the March for Science last Saturday. The green was packed and there was a full roster of speakers who spoke about threats not just to science, but to a culture of reason, and of thoughtful discussion based upon established facts. "It's not just science that is threatened right now," Harvard History of Science Professor Naomi Oreskes told the crowd. "It's knowledge. It's inquiry. It is the gist of what we do as scholars, as academics or as any citizen who cares about the country that they live in." This Saturday, April 29th, the Climate March will round out April's series of protests and rallies. There are buses are going to the DC march leaving tonight and thousands are expected, once again, to flood Boston Common tomorrow afternoon to protest the assault on our environmental protections by the current administration. 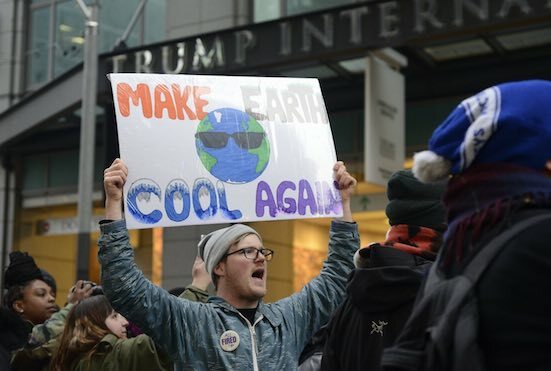 Are you going to the Climate march tomorrow? If so, please send us, tweet us or post your pictures to the Minuteman Indivisible Facebook Page. The issue of gerrymandering based on political party is heading to the Supreme Court. A bipartisan group of voting rights advocates says the lower house of the Wisconsin Legislature, the State Assembly, was gerrymandered by its Republican majority before the 2012 election. In November, a panel of federal judges agreed. Now the Wisconsin case is headed to a Supreme Court that has repeatedly said that extreme partisan gerrymanders are unconstitutional, but has never found a way to decide which ones cross the line. The Wisconsin plaintiffs’ attempt to break through this problem is a new standard, the efficiency gap. It is a numerical rating of a parties’ “wasted” votes. If the Wisconsin statistical standards do not persuade the justices, other proposals are waiting in the wings but some worry that the debate may be close to hitting the brick wall it avoided in 2004. As Richard H. Pildes, a constitutional law professor at NYC School of Law, has said “I do think this is a pivotal moment — a big, big moment.” For further reading see this New York Times article. Climate Marches will take place across the country, including here on the Boston Common. Click here for more information about the Boston march. This May 1st, if you are an immigrant and/or believe in immigrants' rights join the national boycott: do not go to work, school or buy anything on this day. 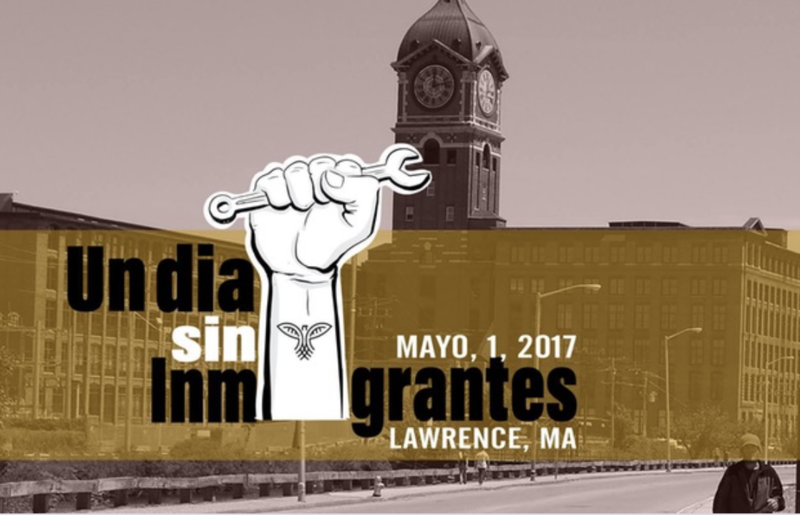 Instead, join Cosecha Lawrence and several other local organizations at our Day Without Immigrants march in Lawrence. Join the festivities in the Lawrence Common at 10am for a multi-cultural celebration of this Immigrant City. Lawrence has always been a city of immigrants. In 1912 Lawrence immigrants who demanded better wages and better work conditions made history leading the successful strike "Bread and Roses" that lasted 9 weeks. Let's show the public how much the economy of this country depends on immigrants.